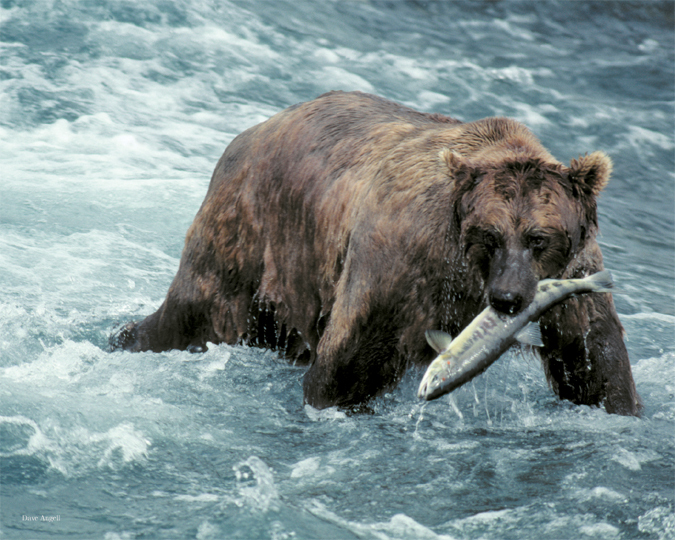 Salmon is the brown bears’ favorite food. When fishing is plentiful the bears will only eat the skin and fat lying below the skin. This is where they get the most calories for the energy they need. They avoid eating the head, because the sharp teeth of the salmon would damage their digestive track.